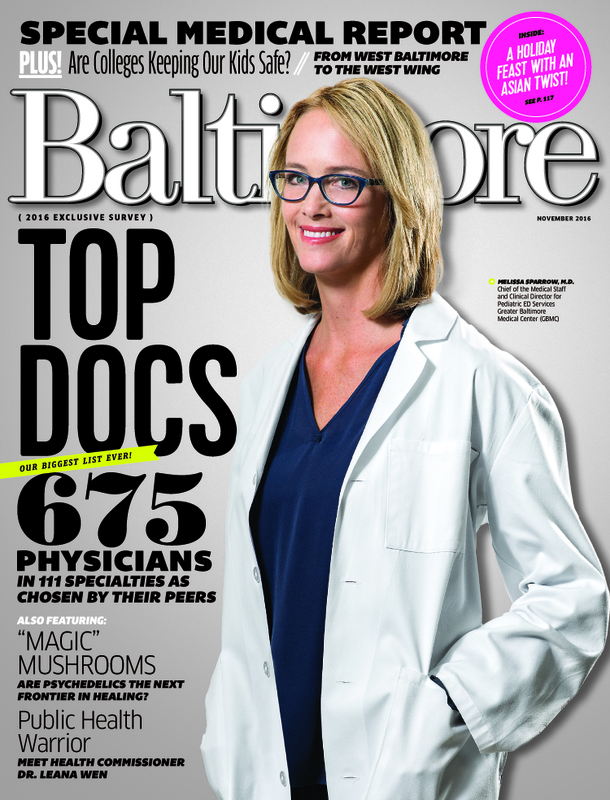 GBMC HealthCare has always had a strong presence in Baltimore magazine’s “Top Docs” edition, and this year is no exception. More than 12,000 area physicians were surveyed on where they would send members of their own family for care and, it’s clear they agree, many of the region’s “Top Doctors” are at GBMC. With 125 members of our medical staff named to the 2016 list in 74 specialties, we are proud to have so many of our accomplished physicians chosen by their peers for their talent and compassion. Having the area’s physicians put their trust in us is the best referral of all. 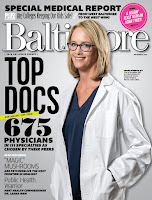 Of special note, Dr. Melissa Sparrow, chief of staff and medical director of Emergency and Inpatient Pediatrics, is featured on the cover of this year’s issue while Dr. Neal Friedlander, chairman of the Department of Medicine, was one of only seven physicians chosen to be profiled. The recognitions of Drs. Sparrow and Friedlander represent the clinical excellence of the many other GBMC physicians who are named within the pages of the issue. The November 2016 issue of Baltimore magazine is on newsstands now. View the complete list of GBMC’s recognized physicians at www.gbmc.org/topdocs. To find a GBMC physician who is right for you and your family, visit www.gbmc.org/findadoc or call 443-849-GBMC (4262). Have you ever been told to "just quit" smoking? As you may know by now, it's not that easy. Research suggests that nicotine may be as addictive as heroin, cocaine and alcohol. If you're struggling to stop smoking, you're far from alone: there are more people in the United States who are addicted to nicotine than to any other drug. On the bright side, you are never too old to quit smoking. There are numerous benefits for those who stop at any age, namely reducing your risk of deadly heart, pulmonary and vascular diseases, and of course, cancer. I get overly hungry and gain weight when I quit. Nicotine increases the metabolic rate, so it's normal for your metabolism to slow a bit when you stop smoking. However, the tradeoff is that you will be able to breathe better, making you a better walker, runner, biker, swimmer – whatever cardio you enjoy! Channel nervous energy into a newly-amped up exercise plan and you will be less likely to gain weight. Keep your mouth busy by crunching healthy snacks like carrots and drink plenty of water, which will help boost your metabolism again. There are seven FDA-approved medications, such as nicotine patches and gums, which have high success rates of helping even long-time smokers quit when used properly. Consult your doctor about which solution may be right for you and be sure to follow the instructions exactly for best results. Inability to focus is one of the most common complaints of people who are trying to quit smoking. Unfortunately, your brain has been trained to think it needs nicotine in order to function, and it has become dependent. Try to clear your mental fog by focusing on your reasons for quitting: your health, your wallet, and your friends and family. Set a goal of making it through the first 72 hours, and you'll be amazed at how quickly your body will begin to heal. I feel irritable, angry, stressed, or anxious. Breaking free of any addiction is stressful. Cut yourself some slack and treat yourself – you are fighting a battle for your health, and you deserve it! You're bound to save some money now that you're not buying cigarettes – how about a concert, movie, or trip with your kids or partner that will free your mind a bit? Most importantly, remember that you are far from alone: millions of Americans struggle with nicotine addiction every day. Seek out support and bond with others experiencing the same challenges. 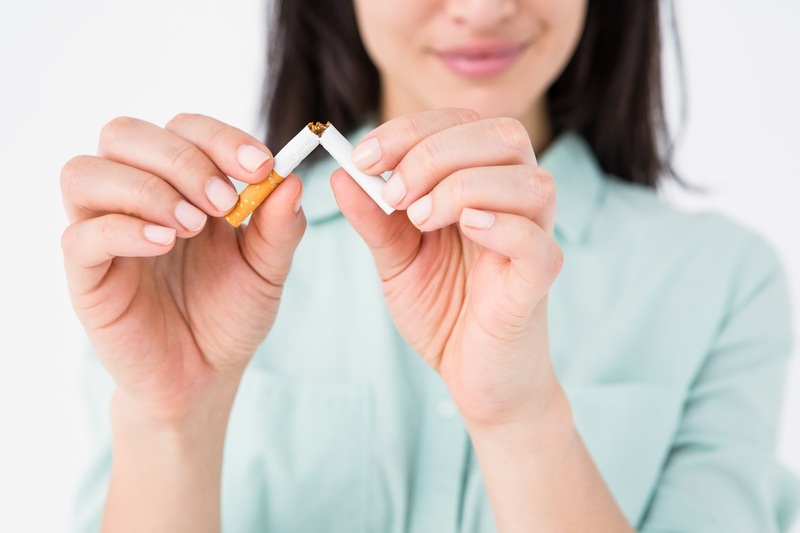 The Baltimore County Department of Health offers smoking cessation resources including group classes, a hotline (1-800-QUIT-NOW) and one-on-one consultations. Visit https://www.baltimorecountymd.gov/Agencies/health/healthservices/tobacco.html for information. Nursing is often referred to as the art of science, knowledge and caring. In July 2016, GBMC HealthCare introduced its Art of Nursing Awards recognition program to honor nursing staff who exemplify and embody the fundamental elements of the art of nursing within their field. More than 50 individuals and teams were nominated for any of six award categories. 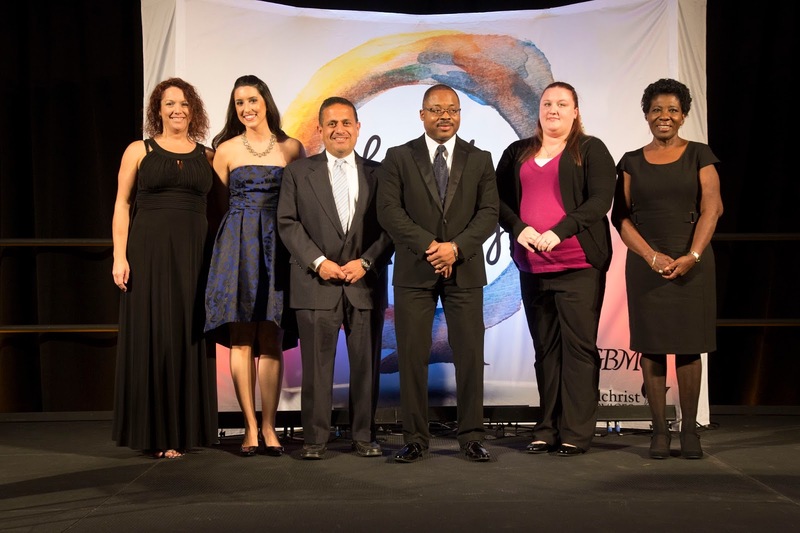 The Nursing Recognition Committee reviewed the nominations for each of these incredibly worthy candidates and selected seven honorees, who were announced during an awards ceremony on August 31. The entire nursing staff was then invited to attend the Art of Nursing celebration on November 4. This grand event served to honor, reflect upon and celebrate the exemplary work of GBMC’s nurses. Thanks to a generous gift from the GBMC Volunteer Auxiliary, the Art of Nursing Awards will continue to be held annually during National Nurses Week! Meet our seven honorees - https://www.youtube.com/watch?v=tcpEMA7NaHg. Combine vegetables and the rest of the meatloaf ingredients in a large bowl. Mix well. Spray a loaf pan with cooking spray, and spread meatloaf mixture evenly in the pan. Combine all ingredients for glaze. Brush glaze on top of the meatloaf. 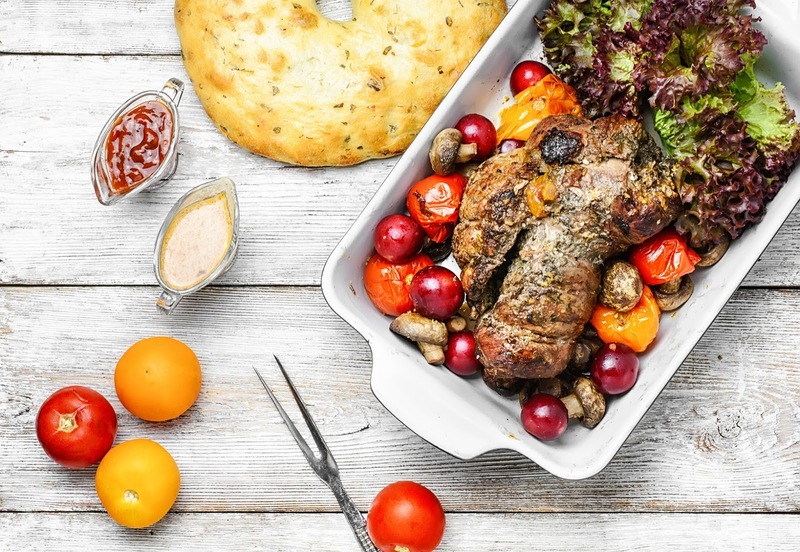 Bake meatloaf in the oven for 45–50 minutes (to a minimum internal temperature of 165 ºF). Serve two slices on each plate. Recipe retrieved from https://healthyeating.nhlbi.nih.gov/pdfs/KTB_Family_Cookbook_2010.pdf, provided by the U.S. Department of Health and Human Services.